While progressive champion Alan Grayson was campaigning to return to Congress, many Democrats questioned why he challenged fellow Democrat and incumbent Darren Soto. The heart of Grayson’s challenge was Soto was not progressive enough and Democrats needed a fighter in Washington D.C. – especially in the age of Trump. Soto fought those claims in the Democratic primary and ultimately won. This week, he clarified his political profile on social media. 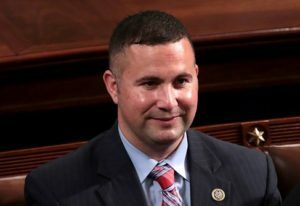 “I am socially progressive, fiscally pragmatic, always ready to work across the aisle to get things done, and believe we need to hold the Trump Administration accountable,” Rep. Soto said. Along with the statement, Rep. Soto posted an editorial from The Ledger with the headline Soto should be a voice of moderation. “During his first term, Soto developed a reputation for moderation,” the Ledger editorial board wrote. While they do point out Soto’s strong opposition to Trump on immigration and wall funding, they also complement Soto for his “decision to reject calls from some fellow Democrats to impeach Trump at the dawn of the president’s term.” This was a major campaign talking point for Alan Grayson as well, who was ready to take Trump on head-to-head, including impeachment. Soto is showing he wants to get things done in Washington. Central Florida Democrats did not elect a progressive fighter, let’s see if they re-elected a Congressman who can successfully “work across the aisle to get things done” in Trump’s Washington. The firebrand progressive type of Democrat that Grayson represented is gone, Soto’s moderation is now Central Florida’s brand.